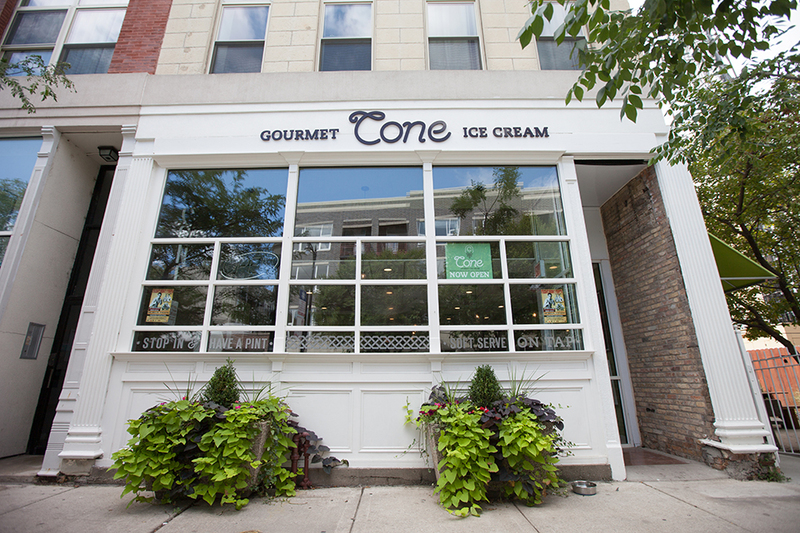 CONE is family-owned and operated right here in Chicago, IL. Since our company opened its doors on July 1, 2013, we’ve treated every customer like they were a part of our family. We know that there are lots of other ice cream places out there, but none with the quality of ice cream, service, and Irish flair quite like ours! Sean McGuire, owner, was born and raised in Ireland, in the town of Belmullet, County Mayo. Since moving to the States years ago, Sean has kept his hometown pride alive. And now with the opening of CONE, he is able to share some of his love for Ireland with Chicago. Our shop is located in Chicago’s West Loop neighborhood. Blocks from the United Center, surrounded by hot spot restaurants and parks, we are in the ideal location. Whether you are just walking by, taking the CTA, or driving over to visit we are easy to get to. We are just east of the Madison & Aberdeen intersection on the south side of Madison. If you are coming from The Loop or from the West: The Madison Street bus, #20, runs right by us with stops on either side. If you are coming from North or South: The Halstead Street bus, #8, drops off only a few blocks away. The Morgan-Lake Green & Pink line stop is only 3 blocks north of us. If you are coming from 90/94 Interstate just get off at the Madison St. exit and go west.